Blue Joint Grass prefers full sun and wets to moist soil. It can reach heights of 4-feet and widths of 3-feet. The grass prefers prairie or savanna-like conditions. It is also known as Calamagrostis Canadensis. Hardy planting zones are 2-7. The growth rate is 3-foot per year. The blue joint grass is a grass that is native to the continental United States. 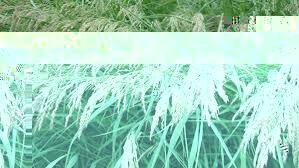 It is a reasonably common grass with a light green, thin shoot. The plant culminates in a seed bunch that is a dark green-brown color. It has a pleasant scent. The blue joint grass is relatively common, and it does not take much effort to spread because it thrives in damp soil. It requires full to partial sun exposure and wet to medium soil moisture levels to succeed. It grows up to four feet in height. The blue joint grass is suitable for USDA Zones 3 through 6, which means it can survive extreme winter temperatures of up to 40 degrees below zero. That explains why it has become so widespread across the US. The blue joint grass is useful as well as decorative. It has thick roots that reach into the soil. Individually, the root systems are weak. But together in a significant quantity, an expanse of these plants can help to hold the soil in place on a riverbank or other vulnerable area. Their roots tangle together and retain the soil in the face of runoff, wind erosion, and other forces. This environmental service makes the blue joint grass a common choice for utility grass in vulnerable areas. Its natural beauty means it can perform this task without ruining the look of the landscape. It is also relatively inexpensive to purchase and easy to plant thanks to its ability to spread in favorable conditions for its growth. This grass blooms late spring to early summer. The bloom consists of pinkish-green seeds. The fast-spreading grass is often used to stabilize pond erosion and along streams banks. This type of grass is a typical native plant. The leaves are typically a bright green with towering blooms.